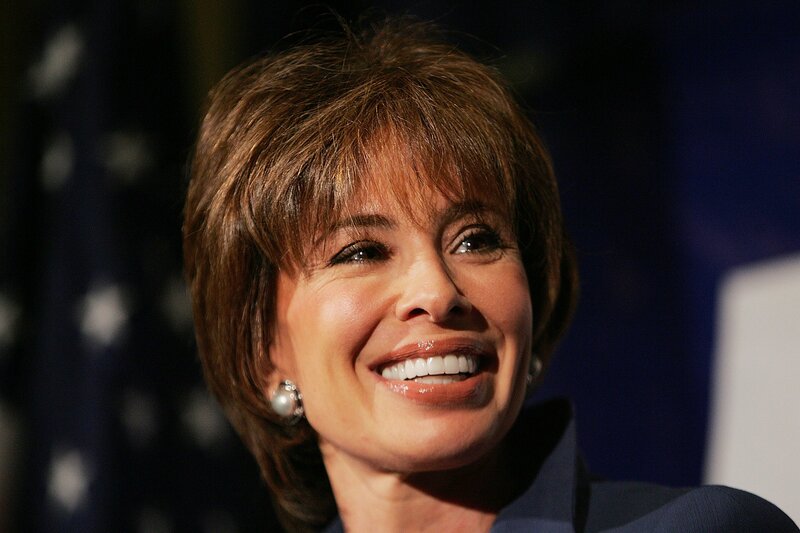 Social media users roasted Jeanine Pirro on Sunday after the Fox News host admittedly reportedly reported to Speaker of the House Nancy Pelosi (D-CA) spent the weekend in Puerto Rico during the partial government shutdown. While interviewing President Donald Trump on Saturday's Justice with Judge Jeanine Pirro suggested that Pelosi was shying away from resolving the government shutdown by taking a trip to Puerto Rico – a statement she later admitted was inaccurate. However, the conservative host and Trump failed to properly apologize for the false reporting, prompting a barrage of ridicule and criticisms from Twitter users . Fox News should change its tagline to " Numerous Reports That Turned Out To Be Wrong. " It was a cringeworthy interview with a "judge" and a "president" who doth demean their respective professions. To think otherwise is quite frankly, insane. It's okay. We expect you to lie to Dear Leader. It's kinda your job. Trump and Pirro discussed several hot topics during their talk last night, including a recent New York Times article that revealed the FBI launched a trial of the president was working for the Kremlin following his firing of the agency's former director James Comey in 2017. Following the interview, prominent social media users called Trump out for failing to properly respond to Pirro's simple question asking him whether he has ever worked for Russia. "Jeanine Pirro of Fox News asked @realDonaldTrump last night a simple question of" you are now or have you worked for Russia, "Rep. Ted Lieu (D-CA) tweeted. "@POTUS did not answer that question the way an innocent person would have." Shauna Wright added: "JEANINE PIRRO:" Are you ever working for Russia? "TRUMP: [spends two minutes tossing an alphabet salad that doesn’t include the word ‘no’]"